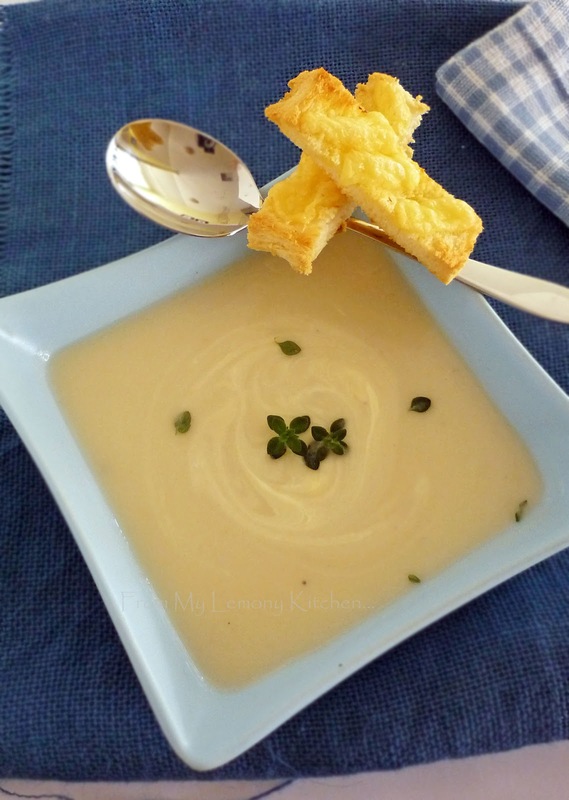 I wanted to try to make soup (I've tried Brocolli Soup)... and found one in PeriPlus~Soups and Breads recipe book... I used dollops of Philadelphia cooking cream. Saute onion in a medium size saucepan until translucent... Add in cauliflower followed by stock. Bring to boil and then lower the fire and simmer for about 10 minutes or until cauliflower is tender. Leave it to cool. Mix melted margarine and garlic in a bowl. Brush both side of the bread sticks with melted margarine and garlic mixture. Top up with shredded tasty cheese. What a nice and simple soup. I certainly will try this one. I plan on making cauliflower gratin one of these days...but I might have to make your soup instead. It looks delicious. Now I haven't seen cauliflower for that low of a price but the soup still sounds worth spending a few dollars on, still a very inexpensive meal. I love love love cauliflower. 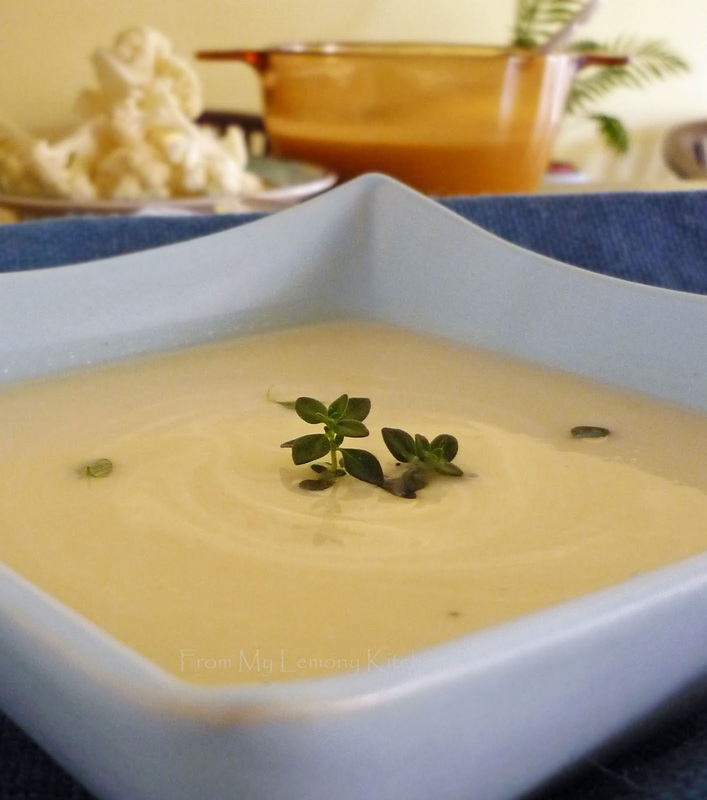 Your cauliflower soup is so smooth!